Thanks to funding from RCVYS (Reading Children’s & Voluntary Youth Services) Autism Berkshire is able to offer discounted training to professionals who work with autistic children and young people in Reading, looking at various aspects of autism. These workshops are suitable for school staff, social care workers and the voluntary sector. 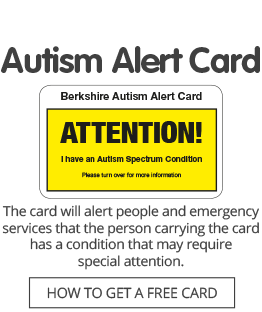 They will be led by Carly Jones, an autism advocate who lives in Berkshire. She has two autistic daughters and was herself diagnosed as autistic at the age of 32. All the seminars take place at RISC (Reading International Solidarity Centre), 35-39 London Street, Reading, RG1 4PS. They run from 10.30am to 1pm – tea and coffee will be available from 10.15am. Seminars cost £10 per person for professionals who work in the Borough of Reading. Places can be booked by professionals from other areas at a cost of £30 per person. We reserve the right to cancel if fewer than four people have booked for a workshop. The funding from RCVYS also allows us to offer schools and pre-schools in the Borough of Reading bespoke twilight or INSET training sessions at their premises for a fee of just £75, representing a significant discount on our usual bespoke training fee of £250 per session. Call our office on 01189 594 594 or email admin@autismberkshire.org.uk to discuss specific requirements and to book a session. For anyone who is interested in learning more about supporting people with Autism and Asperger syndrome. The training aims to give professionals a real understanding of what autism is and what it feels like to have autism or Asperger syndrome, as well as learning some strategies and ideas for supporting people on the autism spectrum. The course costs £30 per person. All those attending will receive a training pack and certificate. Details of forthcoming courses will be posted here. These sessions deliver targeted training for groups of people, such as employment specialists, care workers and those working in education, health or the criminal justice system. They are tailored to meet the specific requirements of clients. They are suitable for professionals who would like to increase their knowledge of autism, improve their practice and learn about useful strategies for working with people on the autism spectrum. Content includes an outline of autism and also looks at sensory sensitivities, behaviour and communication, as well as providing a range of hand-outs and key information. The sessions are interactive and provide a unique perspective on autism. Half-day or full-day courses are available, along with shorter information sessions. They cost £250 per half day for groups of 12 to 15 people. All those attending will receive a training pack and certificate.